Life is truly a series of milestones; special birthdays, anniversaries, a new home, weddings and more! 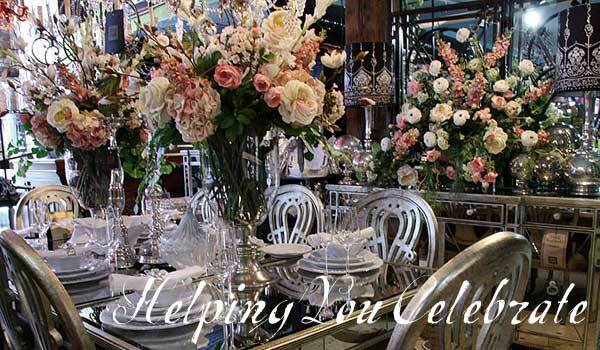 At Chintz & Company we provide a full service gift registry which allows you to personalize your celebration. We also provide complimentary enclosure cards to include with your invitations; a lovely way to let your guests know you are registered at Chintz & Company. You can register on line or call us to make arrangements for personal gift registry assistance in one of our four beautiful storefront locations. At Chintz & Company, we delight in celebrating the magical moments of life and would be honoured to be a part of your special day! Go to Create An Account to register with us or Sign In if you have already registered with us. Browse through our website and select 'Add To Gift Registry'. Contact the store nearest you and indicate you have started a Gift Registry. We will be happy to help you include items not listed on the website. Please have the email you used to register at hand so we can assist you through the process. Your personal Gift Registry will be available online or in person to anyone you wish to invite to view. Existing Gift Registries can be found with our Search tool. For best results, use the email the Registrant used to register under.